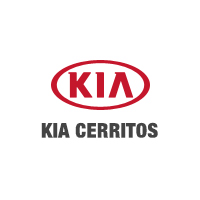 Whether you’re ready to make a purchase or you’re exploring your options and setting a budget, the Kia finance team at Kia Cerritos is here to help with online payment calculator. Use our Kia finance and Kia lease calculator to figure out the best Kia vehicle for you, value your trade to see what your current car is worth, and then apply for financing online to pre-qualify for a car loan. When you’re ready to take the next step, make the drive from Los Angeles to test drive the new or used Kia of your choice at our dealership in Cerritos. Get a New Kia in Orange County Through Kia Financial Services! Get a competitive auto finance or lease plan right now near Southgate at Kia Cerritos. We offer comprehensive Kia financial services at our dealership in Cerritos, as well as a full lineup of the most popular new Kia models. Count on our certified Kia technicians for all your Kia maintenance and repairs, too, and contact us with any questions!